A commercial lawyer by training, Peter Stokes serves as co-founder and chairman of Concord Equity. In his position at Concord Equity, Peter Stokes facilitates debt and equity investments in private companies across the consumer debt, maritime, insurance, and oil and gas industries. In his role as Chairman of Concord Training, which operates safety training academies in southern Africa serving the oil & gas, mining, construction and maritime industries, he has been instrumental in establishing a training facility in Pemba, Mozambique. The facility has been established to meet the growing need for training following ExxonMobil’s financing of its Rovuma liquefied natural gas (LNG) project in Mozambique, Africa. The Rovuma LNG project, a joint venture between ExxonMobil and other energy companies, seeks to tap into the estimated 85 trillion cubic feet of natural gas in Area 4 block, offshore Mozambique. The project will entail developing reservoirs in the area, constructing and operating liquefaction trains, and establishing upstream developments and operations. Other companies involved in the project include Eni, ENH, CNODC, and Kogas. Ultimately, the joint venture will deliver affordable gas energy to customers, creating economic value for Mozambique and the companies involved. As a first step, co-venturers have to find a market for the gas. On June 27, 2018, ExxonMobil management said the company was furthering marketing efforts for the natural gas. They stated that active negotiations were underway with some existing buyers of the co-venturers, with the eventual goal of signing sale and purchase agreements. Once commitments are signed, ExxonMobil can confidently make a final investment decision, which the firm expects to reach in 2019. It is anticipated that by this time next year ExxonMobil will likely be the biggest mover regionally. This increased activity drives demand for safety training in the region for people working in the oil & gas industry in both construction and operations both on-shore and offshore. Concord Offshore Plus, Concord Training Limited’s Mozambique subsidiary is a first mover having established its first Concord Safety training facility in Mozambique in 2015 in Pemba, and is well positioned to provide this training and meet growing demand. A graduate of the University of Cape Town with a master of laws, Peter Stokes serves as chairman of Concord Equity. Peter Stokes is also the chairman of Concord Training, which has established a presence in Pemba, northern Mozambique to provide safety training to the mining and maritime sectors and the growing oil & gas industry. Concord Training, and its Mozambique subsidiary Concord Offshore Plus Limitada, is anticipating and is prepared for the increase in demand for training that will come with the new gas fields that are under development in Mozambique, and in particular ExxonMobil’s new project in the area. ExxonMobil is partnering with Eni, CNODC, ENH, Kogas, and Galp to produce and liquefy natural gas from the offshore gas fields in Area 4, which is located near Cabo Delgado off the coast of northern Mozambique. ExxonMobil has begun marketing for the project and is in the process of securing sales and purchase agreements, which the company expects to lead to final investment decision in 2019. ExxonMobil will lead construction and operation of liquefaction trains and related onshore facilities for the Rovuma LNG project, while Eni Rovuma Basin will lead upstream developments and operations. The new project will not only provide affordable energy to customers but also bring long-term economic benefits to the people of Mozambique. Holding a master of law degree from the University of Cape Town, Peter Stokes is the cofounder of Concord Equity, an independent advisory group which makes and facilitates debt and equity investments in private companies. As an independent investment advisory group, Concord Equity works in various industries and markets throughout Europe, North America, and South Africa. Currently, Peter Stokes is involved in supporting businesses he is passionate about and works to stay up to date on the current trends in the investment industry and in particular the changing regulatory framework impacting asset backed securities transactions by regularly attending the Global Asset Backed Securities conference in Barcelona. Peter Stokes assists Concord Equity to identify opportunities for cross-border transactions, and to develop solutions to allow capital providers to efficiently participate in cross border ABS opportunities in their search for yield. The LendIT Fintech USA conference in San Francisco in April 2018 offered insight into the impact of innovative fintech solutions to enabling the growth of non-bank consumer lenders in the USA. Non-bank lenders constitute the majority portion of consumer finance providers in the USA, whereas in Europe the banks dominate the consumer lending market with non-bank lenders making up a small portion of the market in Europe. The innovations of the fast growing fintech industry, and the new waves of Artificial Intelligence and the use of the block chain in finance, are providing the tools to disrupt this status quo, enabling the new non-bank entrants make quick gains in winning market share. These innovations are likely to be the catalyst for change in consumer lending globally, particularly in the growth of non-bank lenders in Europe and markets traditionally dominated by major banks. The essential ingredient will be for the capital providers to get comfortable to support this growth, which Concord Equity anticipates will be achieved, and looks to support, by utilizing asset back lending and securitization techniques. On June 11-13, 2019, Barcelona is again hosting the Global ABS conference, one of the largest financial conferences of the year. The conference is in its 23rd year. This will be the ideal forum to gauge the impact of these new dynamics on the consumer lending market in Europe, and how the regulators and capital providers are responding to these changes. It will no doubt be high on the agenda at next years Global ABS event, which has hosted some high profile keynote speakers such as Sir Nick Clegg in 2017 and David Rule, the executive director of the Bank of England and Alessandro Tappi, the head of guarantees at European Investment Fund. Peter Stokes and Concord Equity looks forward to attending again to keep pace to find opportunities om this fast changing and growing market. After earning his bachelor of laws degree, followed by a master of laws with a focus in commercial law from the University of Cape Town, Peter Stokes established Concord Equity to assist companies operating in southern Africa to raise capital in Europe. Peter Stokes uses his first hand experience of working in southern Africa combined with Concord Equity's presence in London to act as the bridge to connect investment opportunities in Africa with European capital. Peter Stokes regularly attends Africa-related investment conferences and has been active in financing projects in South Africa, Namibia, and Mozambique. Peter Stokes is a founder of Concord Training which provides classroom-based and on-site safety training for mining, oil & gas and construction companies operating in southern Africa, and provides services to companies from its bases in Cape Town in South Africa, Pemba in Mozambique and Luanda in Angola. Concord is an accredited training provider offering courses which include fire fighting, first aid, safety at heights, hazmat and work readiness. Concord Training helps multi-nationals meet their requirements for hiring local staff, referred to as "local content" requirements, by providing the work readiness training necessary to create a new local work force in often remote and under-served areas where oil & gas production is being developed. A good example is the off-shore oil fields under development off the coast of Mozambique in the Rovuma Basin. Concord Training serves this demand through its training facility in Pemba, Mozambique. 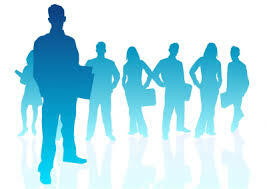 According to the National Work Readiness Council, the term “work readiness” refers to the ability of frontline staff to deliver value to their organization in entry-level positions. Concord believes that the provision of work readiness training is the key to enabling local communities to participate and benefit at a practical level from the foreign inward investment in large projects, such as oil & gas industry. From their latest analysis of sanctioned and upcoming projects, global FLNG capital expenditure (Capex) is projected to total $52.8 billion (bn) over the 2019-2024 period. 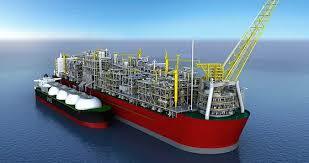 FLNG stands for floating liquefied natural gas, and refers to the process whereby gas is processed on floating facilities. Forecast liquefaction construction spend in Africa will total $15.4bn over 2019-2024, with 34% of this spend already committed. The report also confirms the strong trend towards the use of floating gas liquefication units (FLNG) with the driver to this being the short lead-time from receiving sanction to operation. Concord Training’s facility in Mozambique, Concord Offshore Plus, is the first specialist and accredited training provider of both maritime and offshore safety training in Pemba Mozambique providing work readiness training to enable local communities to benefit from the multi-billion dollar foreign investment that is about to flow. "Concord Equity Group Cofounder and Director Peter Stokes"